Thonglor used to be just another one of those unassuming hoods in Bangkok, until its fate changed some years ago. 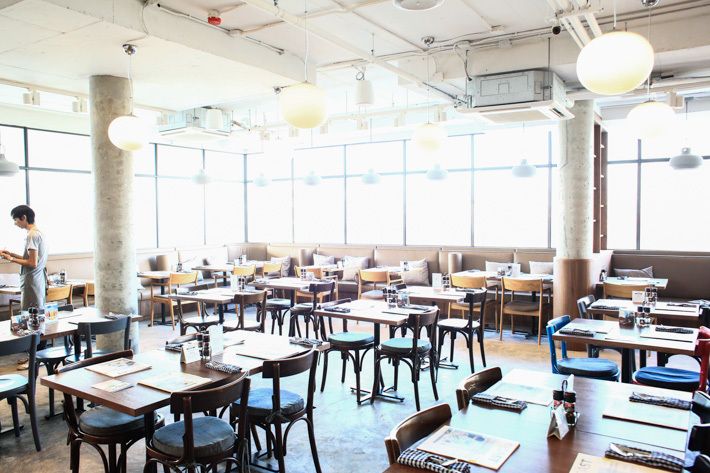 All it took was a leap of faith by some entrepreneurs who decided to run cafes in Thonglor Seen Space, and that whole area started booming and prospering. Today, Thonglor is widely visited by both locals and tourists – anyone who enjoys a cuppa and quiet afternoons. 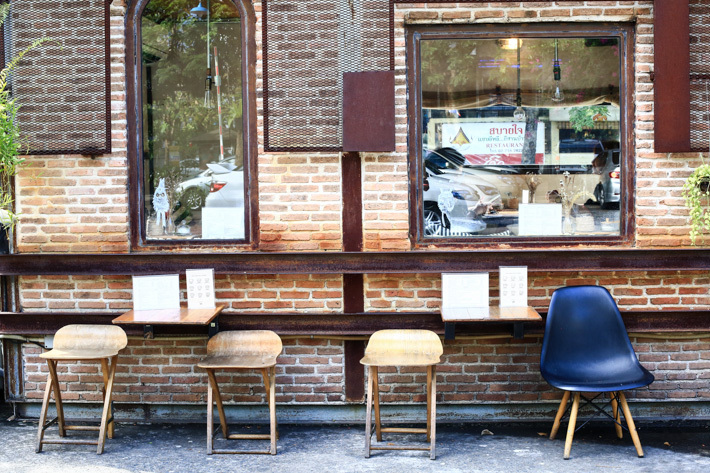 The Thonglor “archipelago” includes Ekkamai, a street that is littered with quaint cafes, primarily dedicated to the Japanese expats who call that area Home. 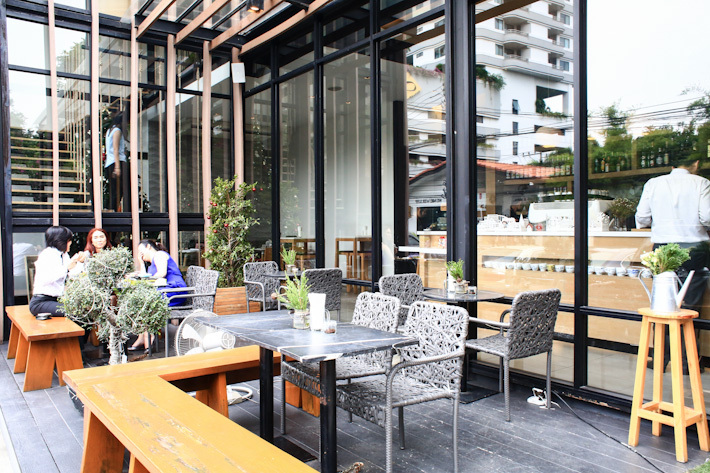 With so many cafes sprouting out one after another, Thonglor is surely the place for all cafe-hoppers. 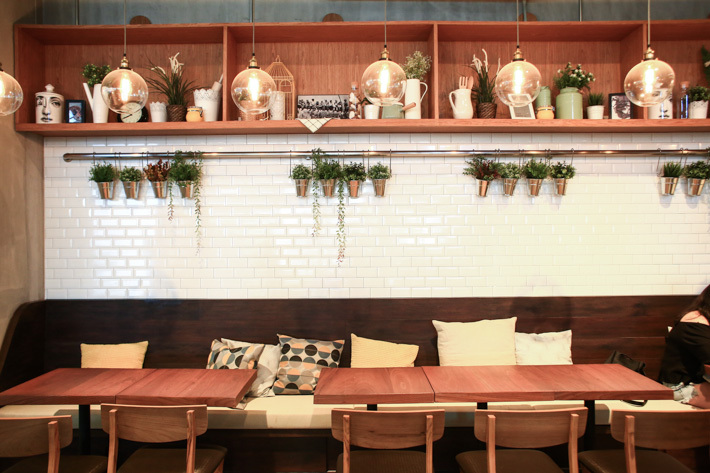 Here are 17 Cafes in Bangkok’s Thonglor And Ekkamai that we love. After You first started in 2007, and it has been enjoying popularity since. 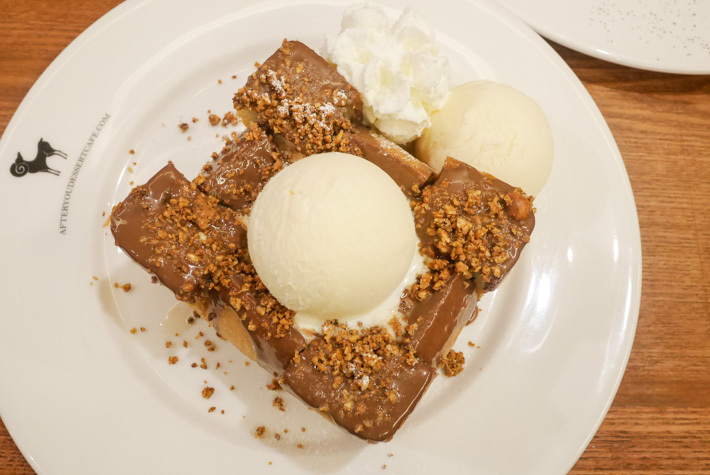 Everyone loves After You Dessert Cafe for its signature desserts – the Shibuya Honey Toast (THB175) and Chocolate Lava Cake – and they have been a big hit with locals and tourists alike. Everything here is very photogenic, and they sure taste as good as they look. Definitely a must-visit dessert haunt when in Bangkok. One of the prettiest cafes and among the most popular is Audrey, a predominantly monochrome cafe with cascading vines and fairy lights. Thonglor has no lack of cafes, but Audrey is exceptionally visually arresting and too pretty to miss. It offers a menu that serves both Western and Thai, and a whole selection of drinks and desserts. Other outlets can be found at Central Embassy and Siam Centre. Just next to Hand & Heart Cafe on Thonglor Soi 38 is Cargofe, a cute container cafe that is surrounded by plants and greenery. We love that cosy tiny space for it is like a hideout that nobody knows about. And while the cafe is really tiny, the space between each table is comfortable enough for us to be in our own zones while enjoying the precious company of our friends. 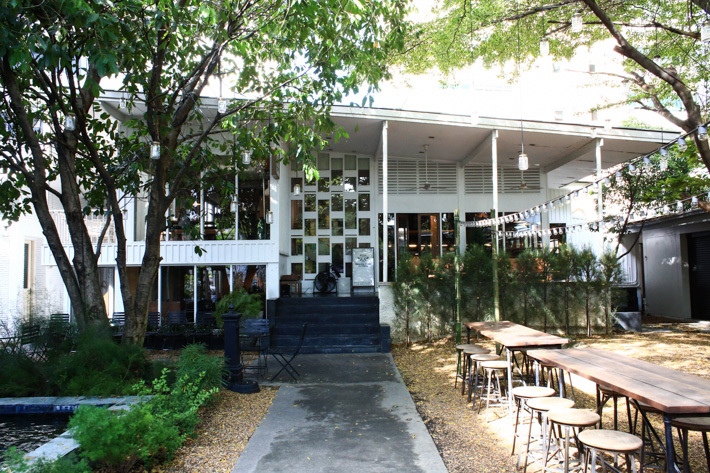 There are many cafes that offer good coffee in Bangkok, but Casa Lapin stands out for its inviting vibe. 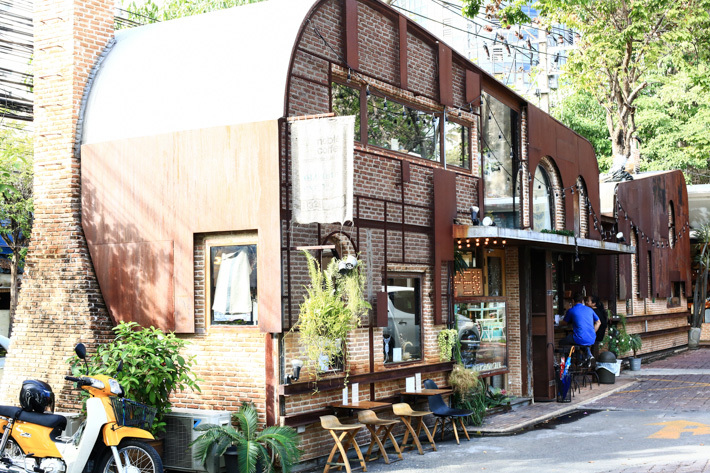 The original Casa Lapin at Thonglor Art Village is a hole-in-the-wall coffee joint, while the newer Casa Lapin X49 at an alley on Sukhumvit Soi 49 opposite Samitivej Hospital is an intimate space where you can enjoy your coffee, linger around and read your magazine. What also impresses us is the range of magazines that they offer – Cereal, Frankie and Kinfolk, to name a few. 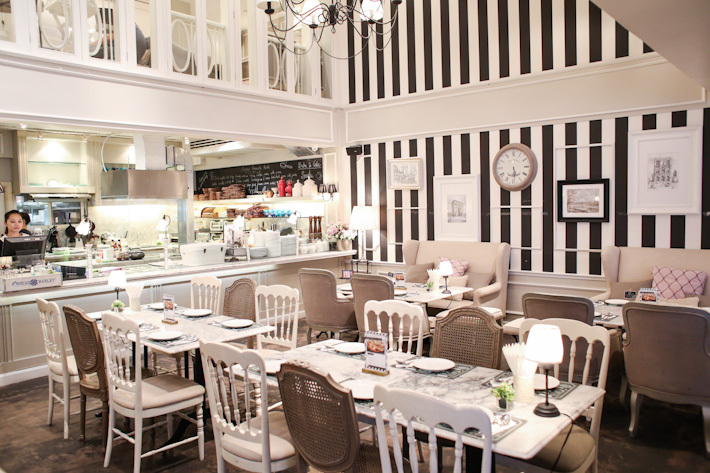 Featherstone Bistro Cafe & Lifestyle Shop is one of the prettiest finds in Thonglor. It is like an enchanted forest – of butterflies, stained glass and the dreamiest flowers hanging from the ceiling, Featherstone is a must-visit when in Bangkok. Its food menu is not the most interesting, though. The pastas were pretty mediocre, but pizzas were not too bad and we enjoyed ours. What you must order is the signature drinks. We had the Purple Lullaby, and it really is a work of art; just look at the ice cubes! 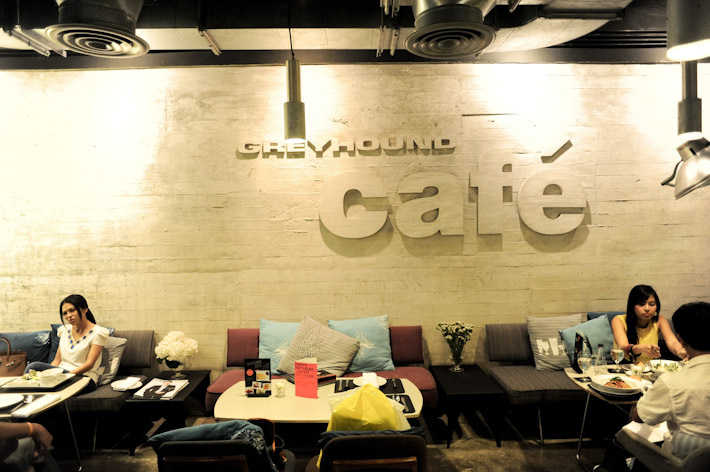 Arguably the most famous cafe in Bangkok, Greyhound Cafe is among the ones who pioneered the cafe trend in the Thai city. Prices here are pretty reasonable, and it makes a lovely pit stop in between shopping. Pastas such as fettuccine with shrimp, and spicy spaghetti Thai style are around THB190 to THB320. 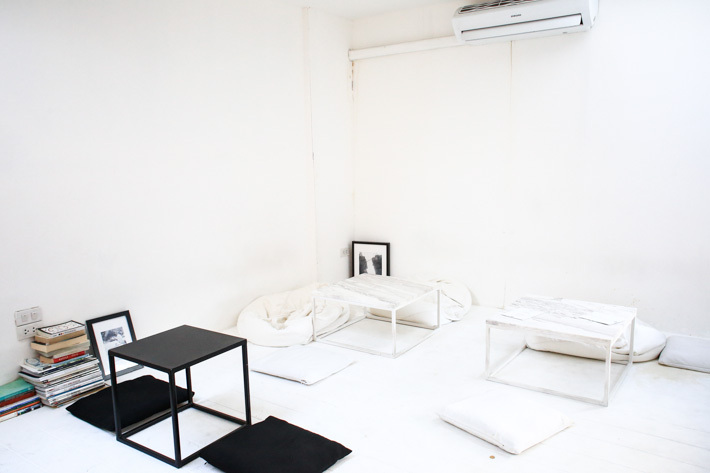 This minimalist cafe is predominantly white and its signature frame is now a common sight on Instagram. 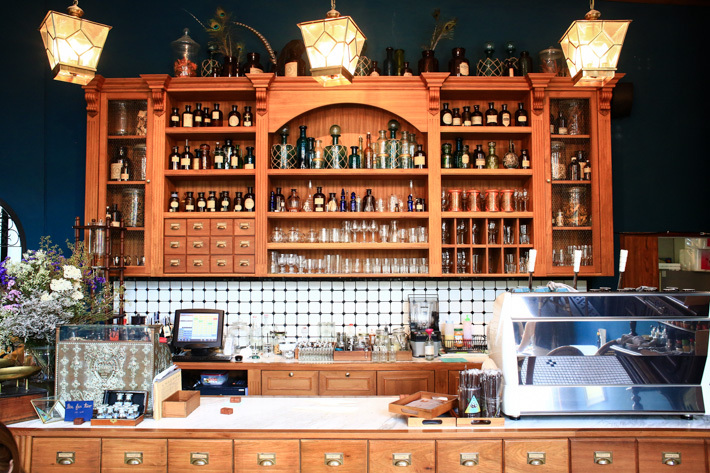 Fuss-free yet cosy, Hand & Heart Cafe serves a small selection of cakes and drinks. While nothing tasted exceptional, an afternoon here over coffee and some read is lovely. 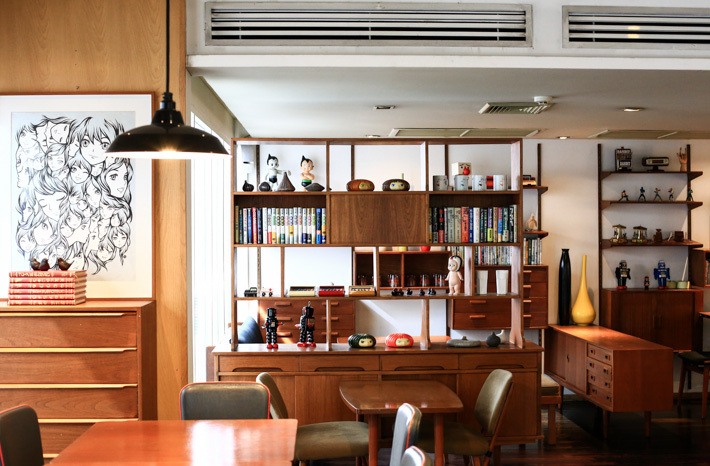 A quiet haunt that sits unassumingly in the Ekkamai neighbourhood, Ink & Lion is a vintage-styled coffee shop that combines the simplicity of quality brew, vinyl on loop, and an art gallery. These guys here take their coffee very seriously, so you know you are in for the real deal. Do your latte with a slice of cake. Waffle lovers have a new stop to make when in Bangkok. Sitting in the new compound of The Commons is Jona Waffles, opened by Le Cordon Bleu grad owner Songpon Wongpaisan. There are 10 different waffles on the menu, including the Original Waffle with Strawberry and Kiwi (THB220), Green Tea Waffle (THB220), and French Toast Waffle (THB220). Nikko is a Japanese cafe that sits along Ekkamai Soi 12. It offers a concise menu that caters to the Japanese community. The mains include Samurai Stew Pork (THB 180), Chachu Don (THB 200) and Tonkatsu Curry (THB 250). On the desserts page, the Matcha Pudding (THB 165) and Passion Fruit Pavlova (THB 170) make lovely endings to your meal. 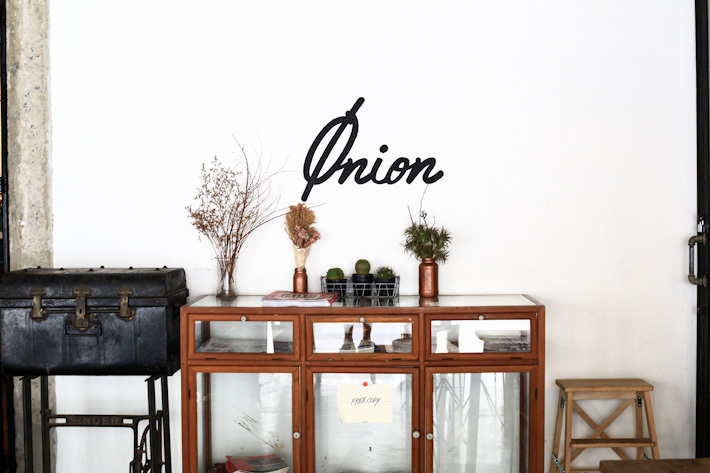 One Ounce For Onion is an off-the-track cafe located in a small alley off Ekkamai Soi 12. Contrary to its theme, this Japanese-influenced cafe has no onions, but a menu that is chockfull of art and creativity. Flipping the menu on its own was a joy; we enjoyed browsing through their alternative selections while admiring the amazing photos. 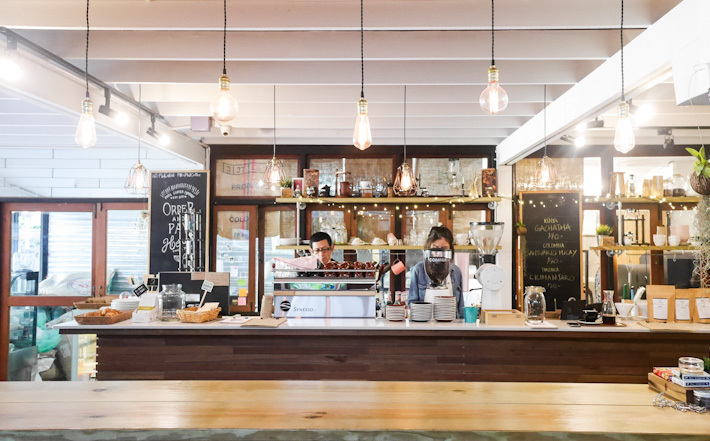 Tucked away in a quiet alley on Sukhumvit Soi 61 which is in between Thonglo and Ekkamai, Phil Coffee Company is where coffee lovers in-the-know flock to for their daily dose of caffeine. Here, coffee beans are sourced from all over the world, and roasted in small batches. For those who want to learn more about coffee, Phil Coffee Company provides barista training which includes latte art and coffee tasting. 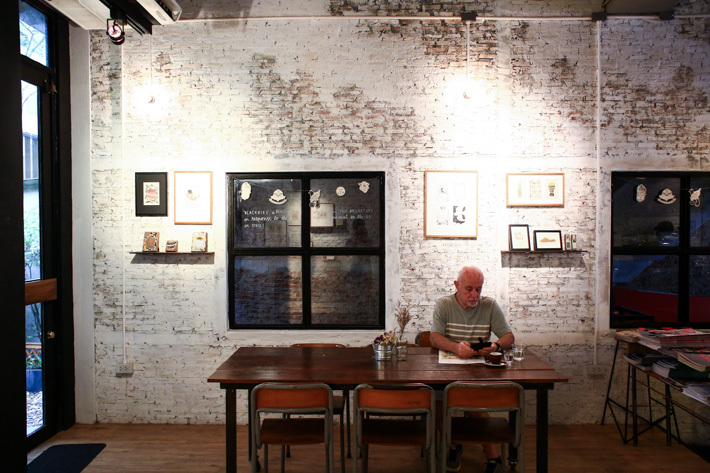 Roast, our favourite cafe in Bangkok, has relocated from its previous location at SeenSpace. Its spanking new space at The Commons is nothing short of cosy too. 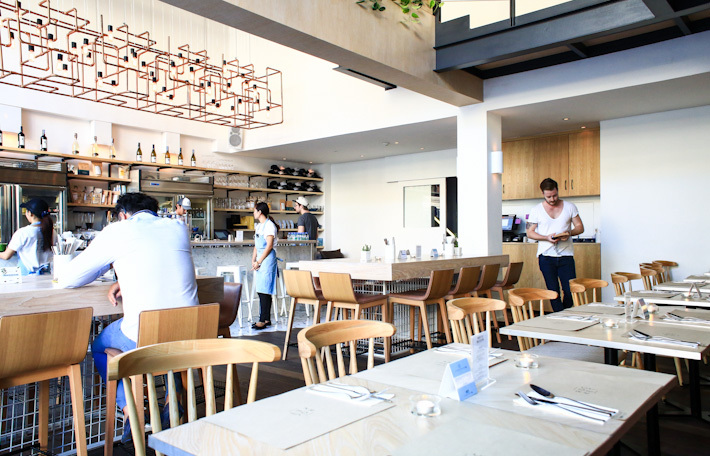 Expect the usual fare – brunch items, a la minute desserts, great coffee, friendly staff, laid back vibes. Established in July 2013, Rocket Coffee Bar started as a hole-in-the-wall joint at Sathorn Soi 12, and the rest as they say is history. It has since expanded to other parts of the city, including this largest outlet on Sukhumvit Soi 49. 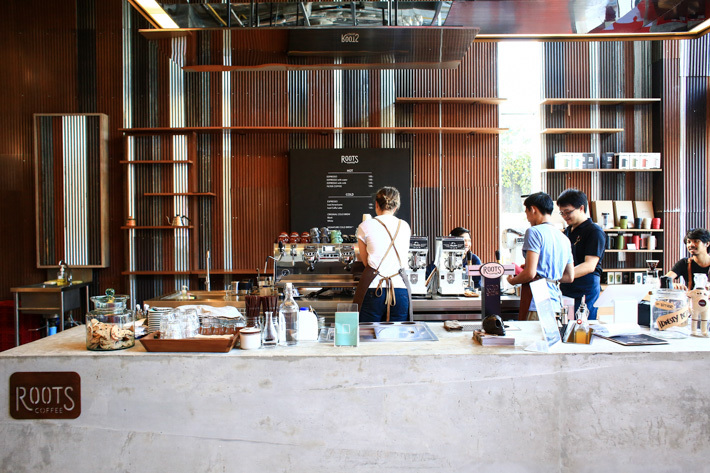 Rocket Coffee Bar is undoubtedly one of the most stylish coffee shops in Bangkok. The combination of good coffee, free wifi, simple and earnest wholesome food such as sandwiches, salads, and breakfast make Rocket Coffee Bar a place where we will always return to. And so will you after you’ve checked them out. 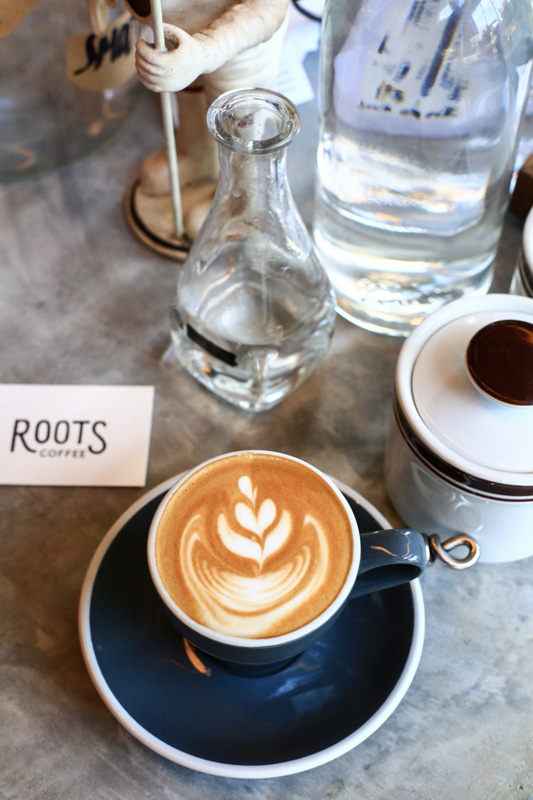 Opened by Varatt Vichit-Vadakan (or Tae) who is also behind Roast Restaurant, Roots Coffee Bar has recently shifted from its original location in Ekkamai to The Commons – the hottest destination in Bangkok. The coffee bar is positioned at the foot of The Commons. (Un) Fashion Vintage Collection is a shop that imports vintage items, including leather shoes, bags and accessories from the U.S. and Europe. 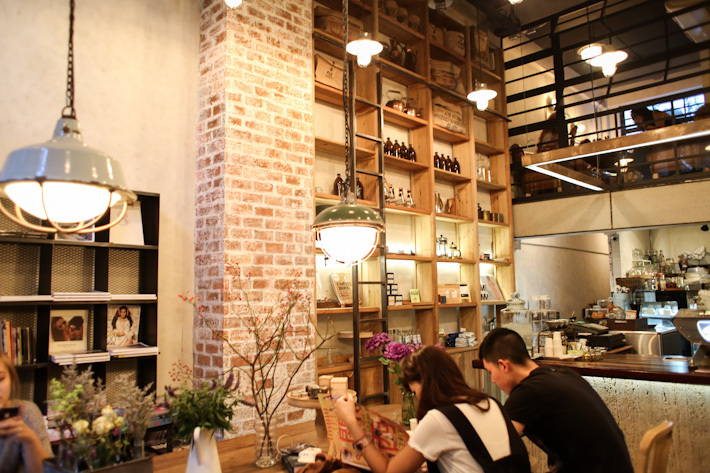 Adjacent to the shop is a cute cafe that offers a simple menu of drinks and desserts – such as Waffle (THB185), New York Cheese Cake (THB 100), and Chocolate Cake (THB100). 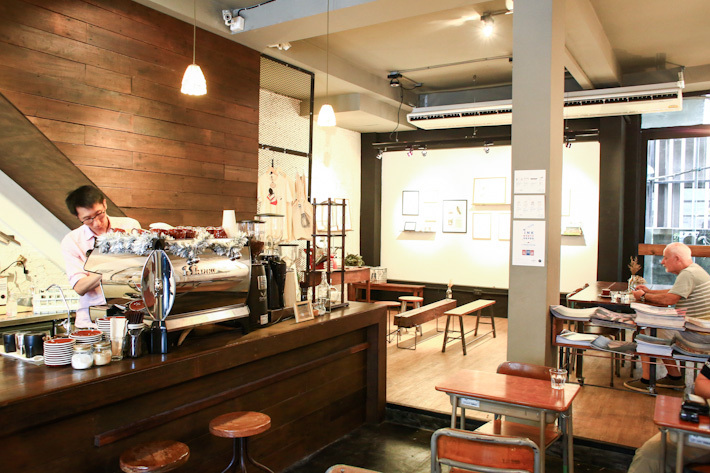 For more recommendations, read our guide to 34 of the best cafes in Bangkok.